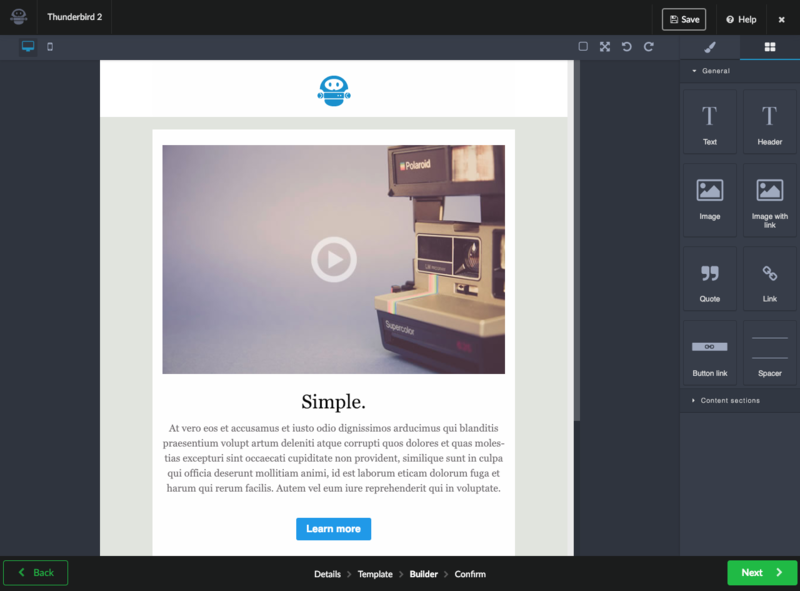 Jumplead allows you to create a responsive emails with an easy to use drag and drop editor. Once you have built your email it is available for you to send to list segments of your contacts database within Jumplead, and to use in the Automation Workflows that you create within Jumplead to nurture your leads. When you include your email within a Workflow, you can give it a unique Subject and From Address information.